For many shoppers, the car buying experience can be stressful at best, but we believe it should be exciting! 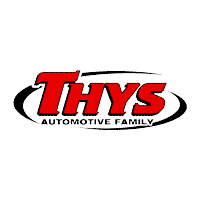 That’s why Thys Automotive Family has a dedicated Finance Center at each of our three locations. With a helpful tool like the finance payment calculator, paired with our on-site professionals, you’re sure to secure the lease or loan you need to drive home happy in your new vehicle. When you’re ready to discuss finance options and look into leasing vs. buying, we’re here to help. A great place to start is with our new and used inventory. Find the perfect car for you, and if you’d like to get an idea of your options before you come to see us, we encourage you to utilize the car finance payment calculator, and you can even apply for financing online. We look forward to helping you hit the road in a vehicle you love.